Never been shy from being one of the biggest pop personalities, RedFoo delivers another dance anthem that is in similar style to that of LMFAO previous worldwide smash singles, that this track is already following suit after cracking the #1 spot on the iTunes charts after just an hour of performing the hit on the reality TV show. 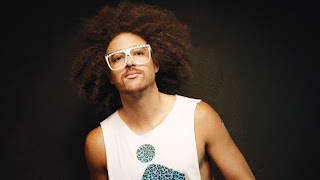 Any RedFoo agrees after saying to the Daily Telegaph's Confidential, "After hearing the response from a few people, this is definitely going to be a worldwide smash. It is passing all the internal tests that this song, I think, it’s going to be the next No.1." Currently filming the music video, the track follows up I’ll Award You With My Body and Bring Out The Bottles that is taken from the singer yet to be released album I Look Good Naked. Check out the new single performed on X-Factor below, which is available on iTunes now..!